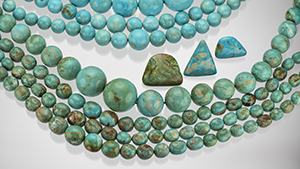 Turquoise buried in Ancient Egyptian tombs is among the world’s oldest jewelry. 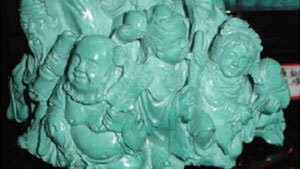 Montezuma, thinking Cortes was Quetzalcoatl, gave him the god’s favorite gem: turquoise. 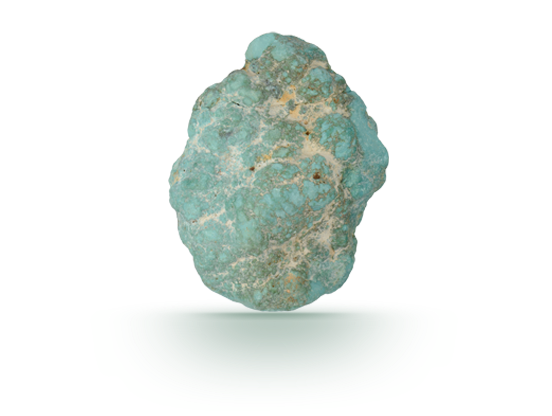 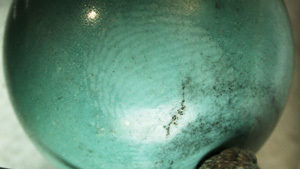 Turquoise is judged on its color, texture, and the absence of matrix. 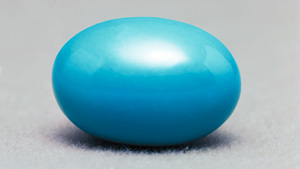 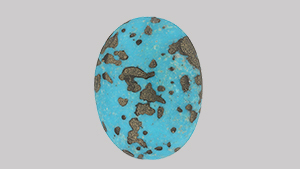 The even blue color of this cabochon would be called Persian blue in the trade. 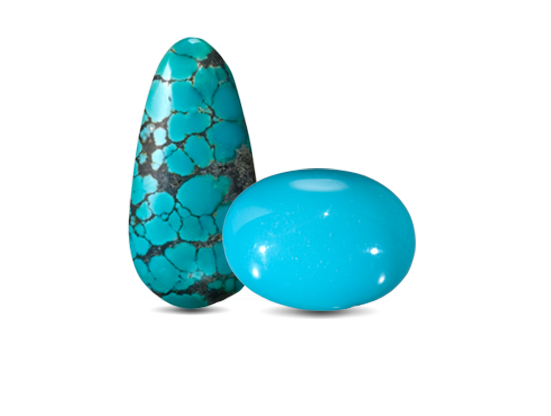 Cutters work around large areas of matrix to yield pieces of evenly colored turquoise.